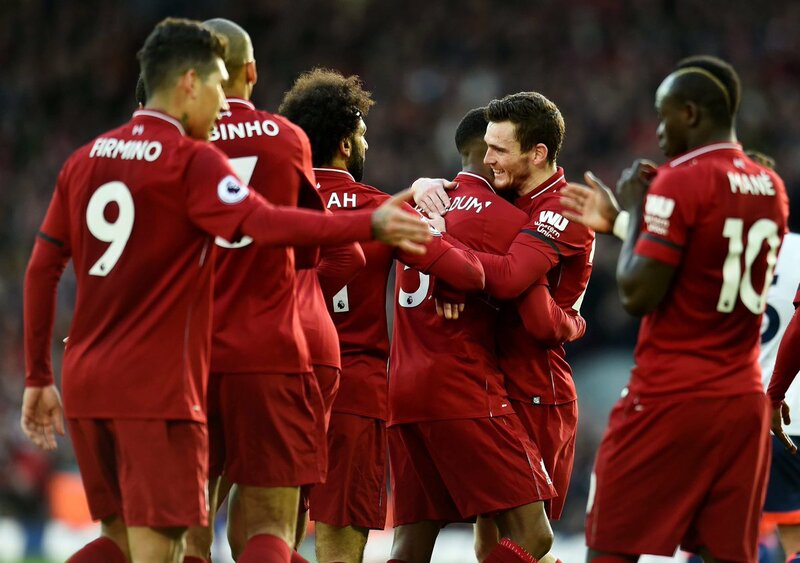 See the story of the game from Anfield as Liverpool beat Bournemouth 3-0 to reclaim top spot in the Premier League. "The whole game was good. It was a difficult game, we all saw the situations when Bournemouth could play, could use their speed, could use their good offensive organisation. In all the other moments we played a really, really good game. Counter-pressing-wise, it was the best for a while. It was outstanding, which for us is always a sign for a really good game. It was a good moment to get it back. Offensively, it was creative, it was with power and speed, offering runs even if you don't get the ball. Be a bit wild offensively, force them into difficult situations and use it then. All the goals were brilliant. It was just a really, really good game and a very deserved three points." Here's how the Premier League summit now looks after Liverpool's win, with Tottenham and Manchester City in action on Sunday. Three goals, three points, a three-point lead at the top of the league. Job done for the Reds at Anfield, with Mane, Wijnaldum and Salah the men on target during an excellent afternoon's work. 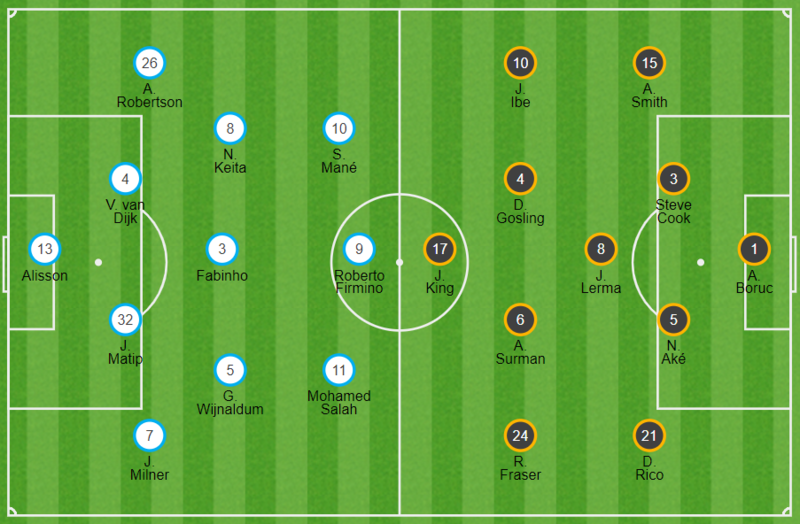 A good shift from Firmino ends, Sturridge is on. Another Liverpool break and yet again Keita is involved in sparking it. This one breaks down when Origi stumbles over Salah's centre from the left. Robertson goes into the book. 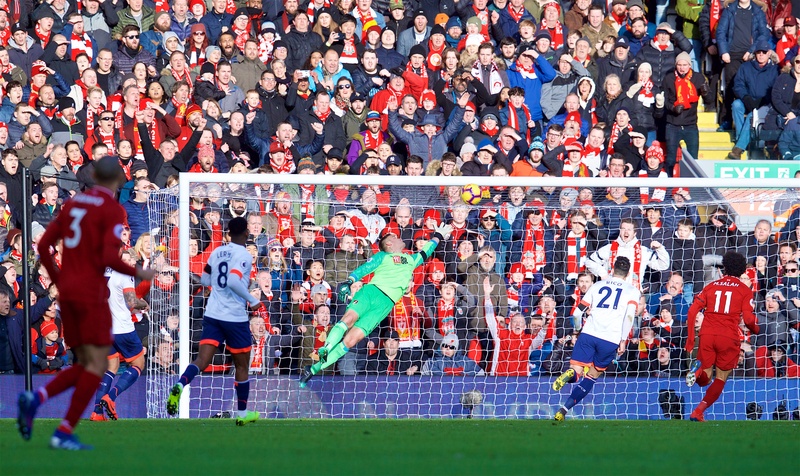 Liverpool launch another counter and Robertson plays Firmino clean through in the middle but the No.9 slides his finish too close to Boruc and the 'keeper scoops up. Mepham on for Rico for Bournemouth. Big chance for Keita, who is enjoying a brilliant half. Salah slips a pass into Firmino in the centre of the area and his blast is blocked, the ball running out to Keita - but his own effort sails too high to trouble Boruc. Bournemouth break away and Mousset gets a free run behind the Liverpool defence before smacking a shot from the right side towards the near post that Alisson pushes into the stands. 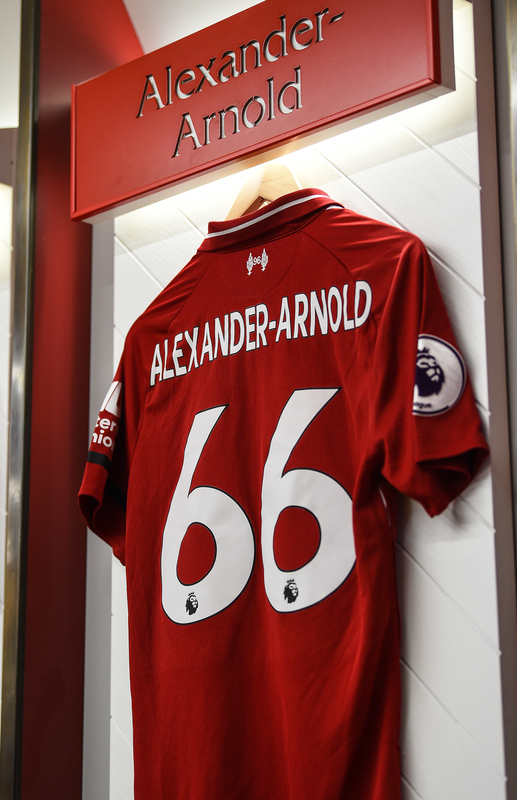 Wijnaldum receives a standing ovation as he's swapped out for the returning Trent Alexander-Arnold. More intricate link-up between Firmino and Salah sees the latter swipe a shot off the crossbar and into the Kop. Mousset is into the action immmediately and swerves a drive wide of the right post from distance. Mousset replaces Lerma for the visitors. Liverpool are controlling possession for long periods as the game enters a slight passive lull, though Salah goes close to putting a fourth on a plate for Wijnaldum with a curving cross into the area from right to left. Not quite, though. Matip picks up a caution. Dominic Solanke makes his Anfield return, replacing fellow former Red Ibe. 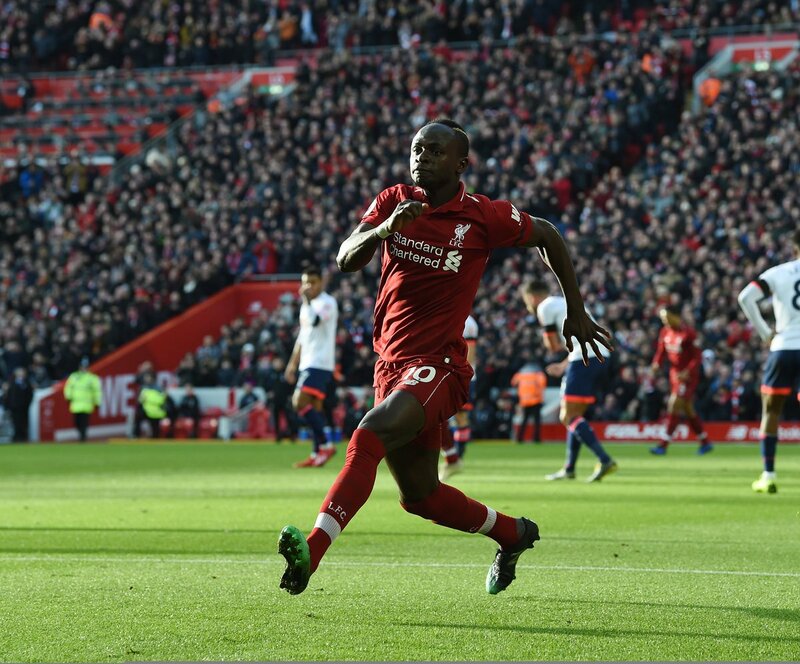 The home side are purring now and Mane should probably bag his second and Liverpool's fourth as Salah moves the ball to Wijnaldum at the right edge of the Bournemouth box and the latter lifts a perfect cross to the far post - but his header is misjudged. 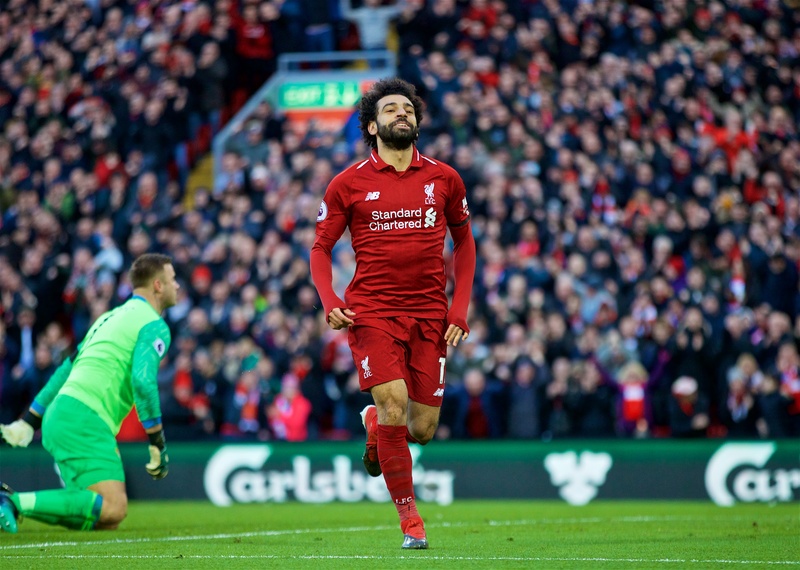 Salah's goal was his 20th of the season and he is the first Liverpool player to reach that figure in successive seasons since Luis Suarez in 2013-14. That's three - and what a goal. 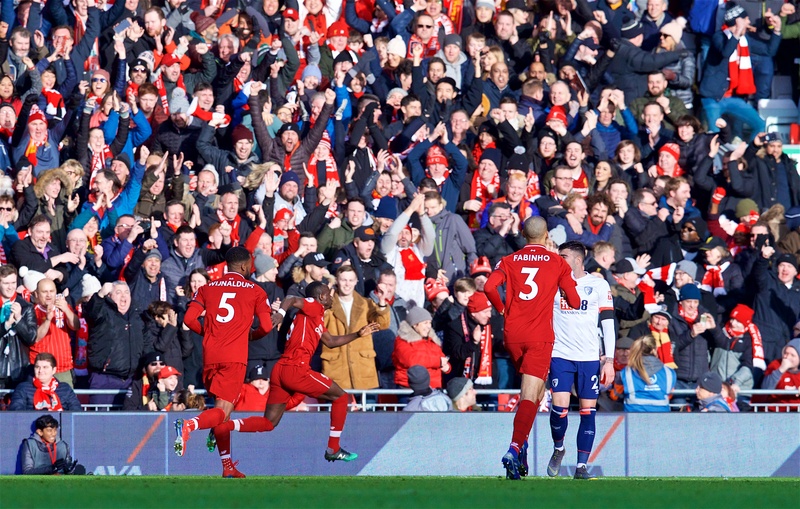 Keita lifts a brilliant pass over the Bournemouth defence for Firmino to bound through but, instead of taking the chance himself, he backheels the ball into Salah's supporting run and the No.11 fires home at the Kop end. 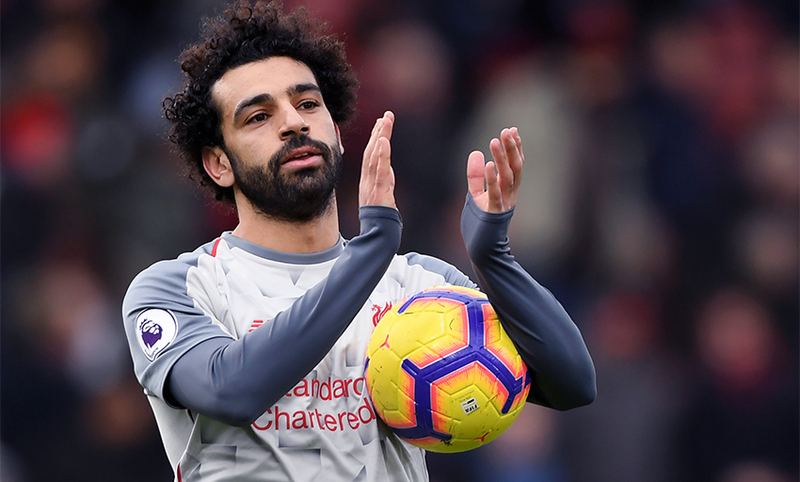 Salah gets the second half under way. Sadio Mane's precise header means the Liverpool forward has scored in four consecutive Premier League matches for the first time. A fine first half from the Reds, who carry a deserved two-goal lead into the interval thanks to clinical conversions by Mane and Wijnaldum at Anfield. Salah pounces on a loose ball at the edge of the box, spins it up to volley and cracks the ball towards the roof of the net - but Boruc is alert to claw the effort away. Really unlucky. Adam Smith shown a yellow for a foul on Keita. No mistake this time, it's an exquisite goal. 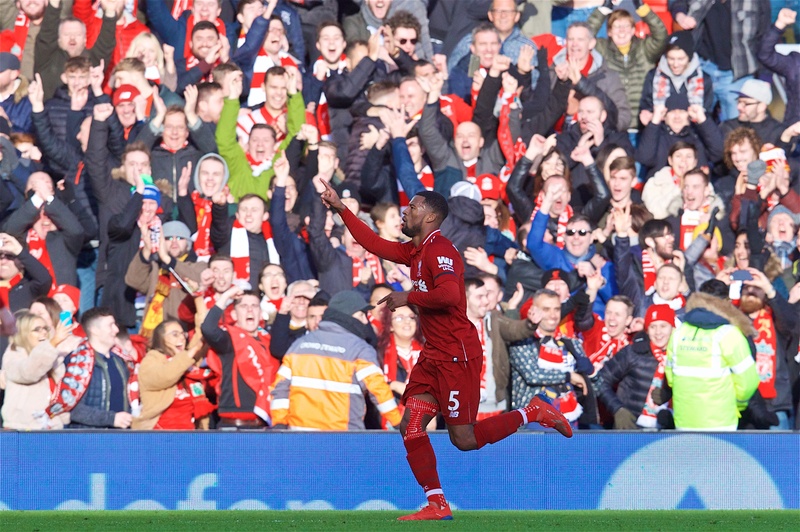 Robertson picks out the No.5's break forward from midfield and Wijnaldum delicately lifts a peach of a lob over Boruc and down into the net to establish a cushion for Liverpool. You'll be seeing plenty of replays of that. Liverpool are eager for a second here and the pressure is mounting. Firmino agonisingly fails to bring down a forward knock and get off a shot before Boruc can block, then Salah is crowded out inside the area as he tries to eke room to strike. Firmino springs clear on the counter-attack and feeds Wijnaldum through on goal centrally - the Dutchman elects to tee up Salah to his right instead of shooting and the Egyptian suffers a rare miscue and the chance is gone. Diego Rico is booked for a lunge on Milner. Breakthrough for Liverpool and yet again it's Mane. The Senegal international meets Milner's delivery from the right with a firm downward header beyond Boruc. A lovely goal. 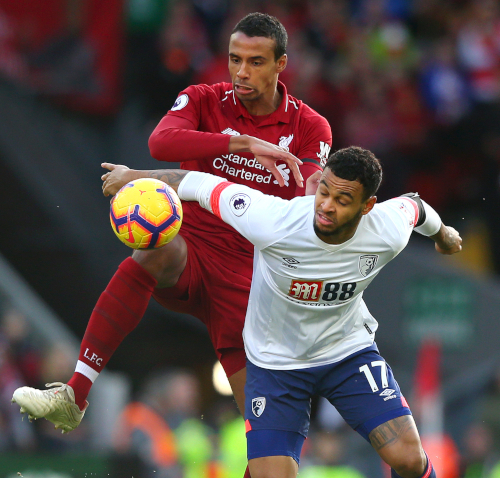 Matip battles for possession as Reds search for opener. Robertson draws applause from the Kop with a sliding challenge from behind to quell a dangerous run from Ibe towards the Liverpool area. 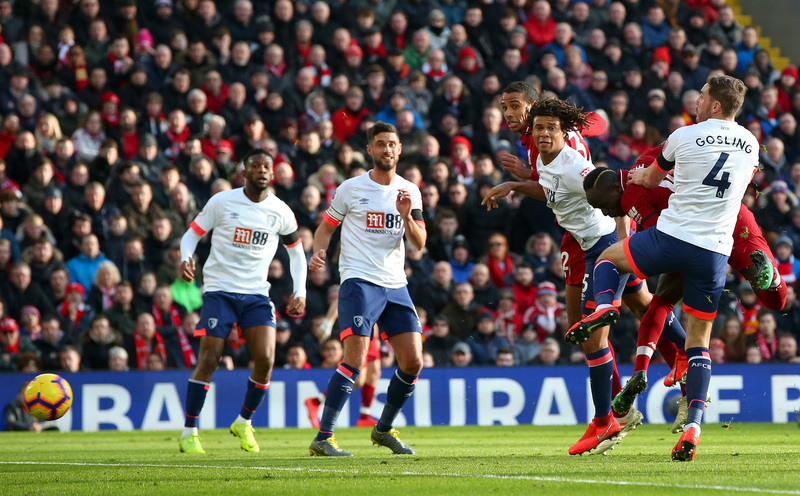 Mane is the architect, troubling the Bournemouth defence before sliding a pass through to Firmino's run into the box. The Brazilian is rushed by Boruc, though, and can't quite lift his dink over the goalkeeper. 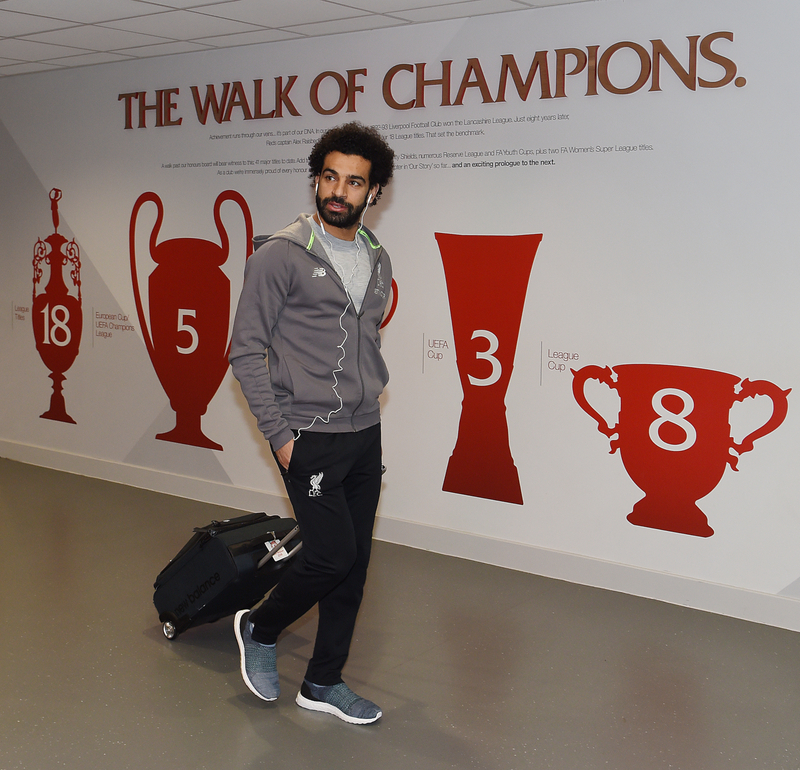 A sight of goal for Salah. Fabinho turns a loose pass in midfield into a potential assist with a firm spread out to the No.11 in the right channel - he attempts his trademark step inside and swerving finish but this one is off target. 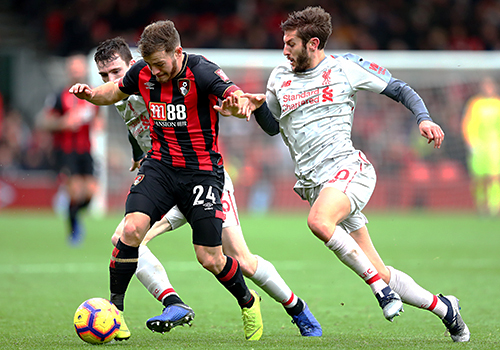 Good response from the Reds to that early opening for Bournemouth and they've dominated possession in the minutes since that incident, without carving through the opposition defence as yet. Early chance for the visitors. The Cherries move the ball quickly and incisively from right to left, finding Fraser in space to pick out a shot, but Alisson reacts well to push the curler away from goal. 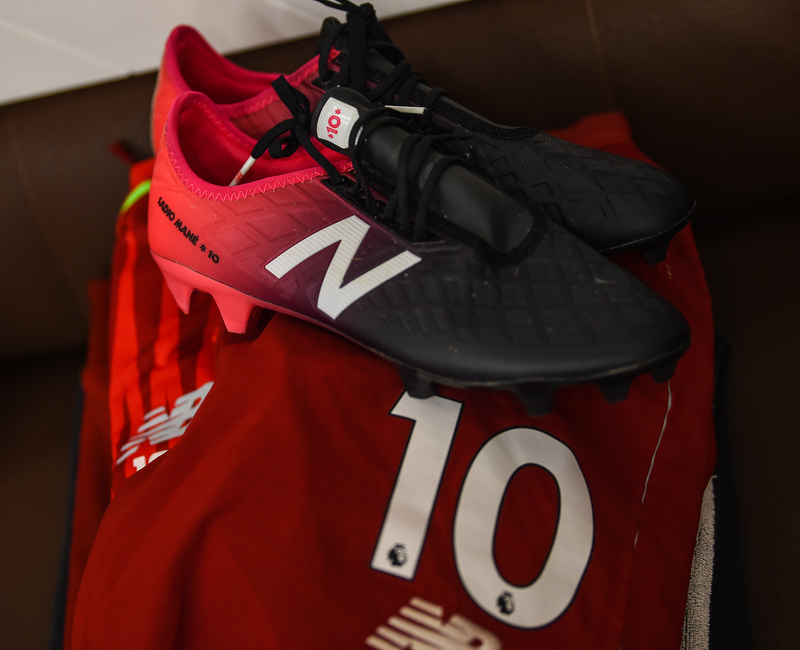 Here we go... Bournemouth kick us off at Anfield. 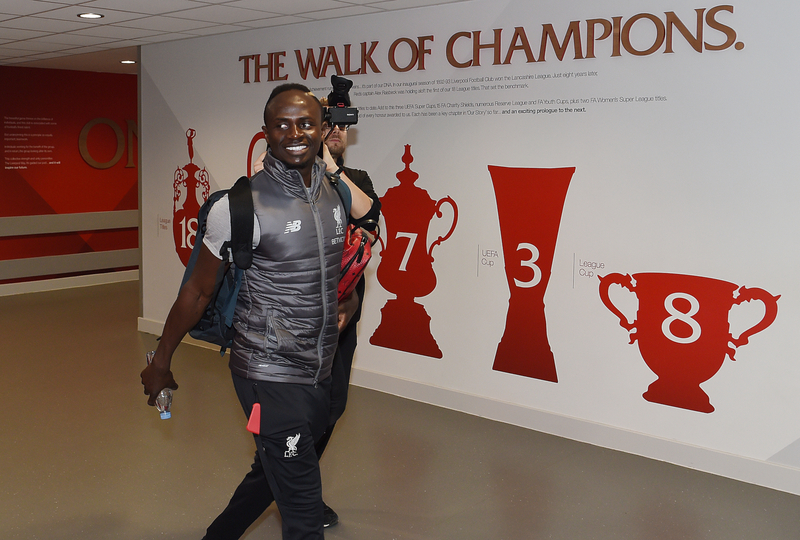 The warm-ups are complete at Anfield and we're just 10 minutes away from kick-off now. There's a nice atmosphere building inside the ground. An important afternoon awaits. 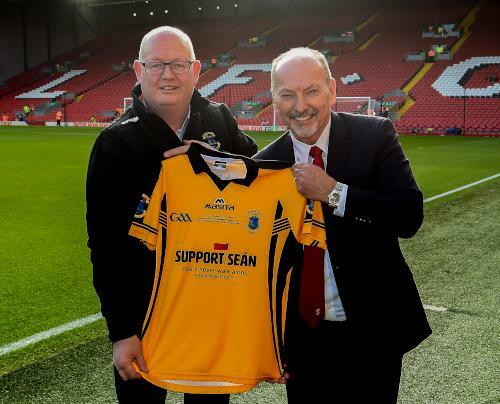 Ahead of kick-off today, Ronan O’Doherty, chairman of St Peter’s GAA Dunboyne, presented LFC's CEO Peter Moore with a commemorative shirt from their club in recognition of the support the club has shown Sean Cox. 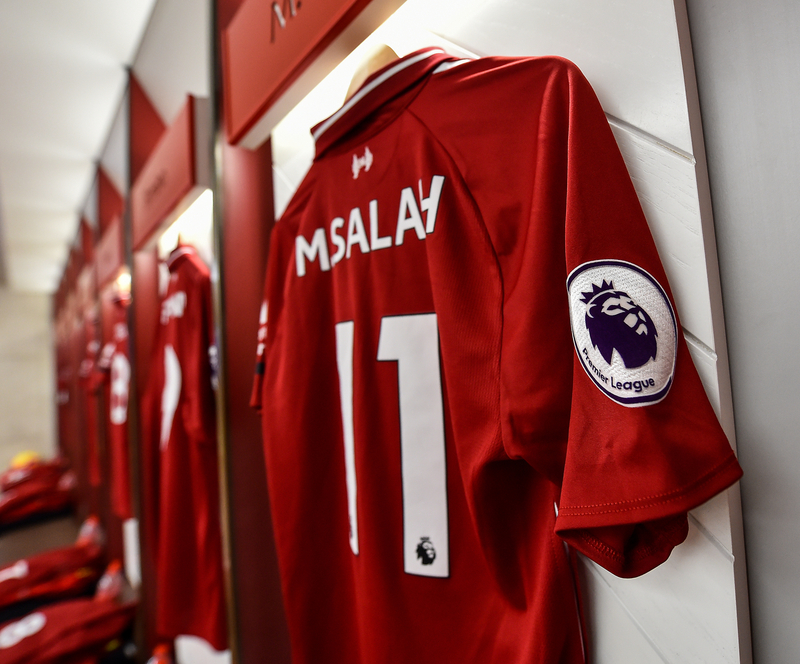 One change for Liverpool as Georginio Wijnaldum comes in for Adam Lallana. 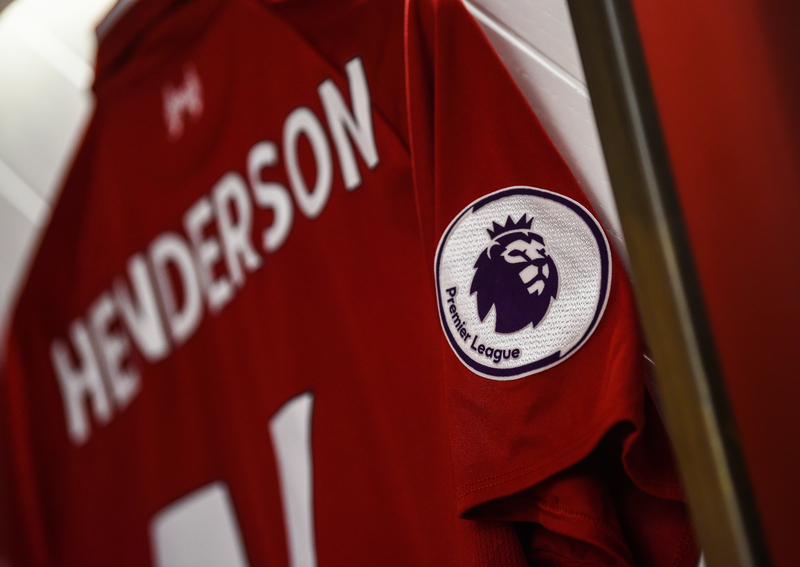 Jordan Henderson and Trent Alexander-Arnold are on the bench after returning to fitness, but Xherdan Shaqiri is absent due to a slight abdominal strain. 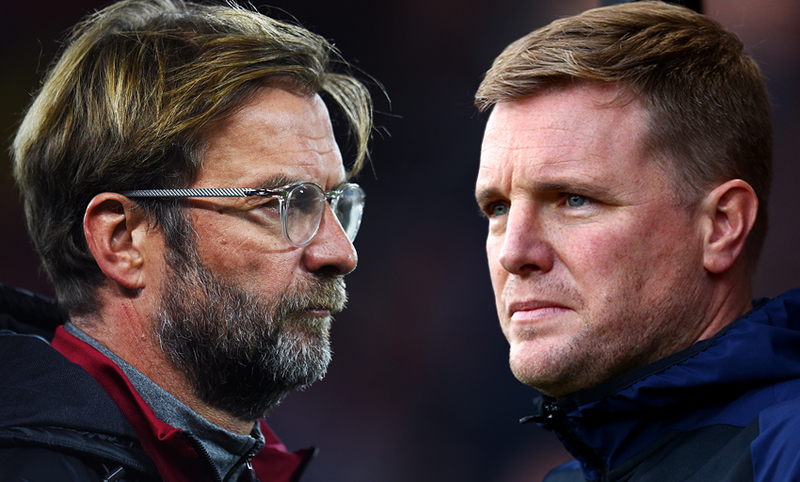 It's fair to say there's a whole lot of admiration within the Liverpool camp for Bournemouth and the job Eddie Howe has done at the Vitality Stadium. It’s a sentiment Jürgen Klopp has continued in his notes in the official matchday programme. He writes: “I don’t watch, listen or read too much opinion on football outside of what I need to do the job, but when I do see things it feels to me that the work done by Eddie and his guys at Bournemouth is almost taken for granted now. “These guys are benchmark coaches and leaders in the English game and what they have done at their club and how they continue to do it should be held up as an example of excellence. “I love that Eddie has the courage to stick to his principles at all times and what is evident when you analyse them is that most importantly his team buys into it completely. It wasn't to be for 10-man Liverpool U18s at Manchester United, with a late equaliser meaning they have to settle for a point. Click here to read our full match report. 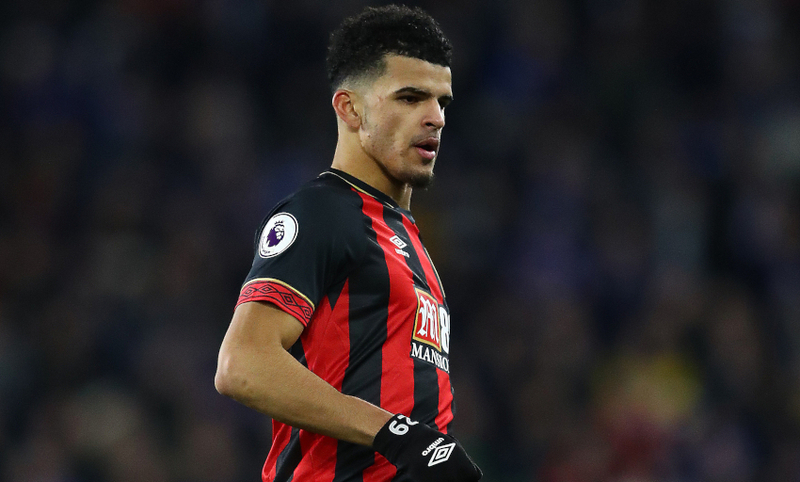 Dominic Solanke is in line to face the Reds today within a month of leaving the club on a permanent transfer to Bournemouth. "It's always a bit strange and scary if you play against a former player. Dom was here four weeks ago and we saw him every day," Klopp said of the striker. 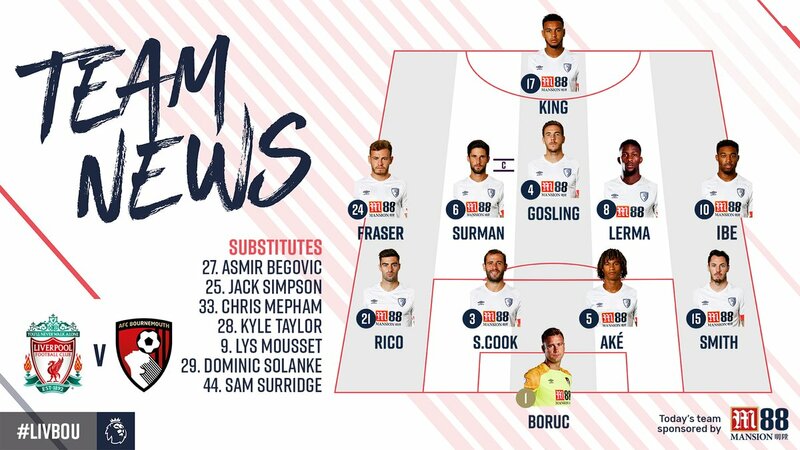 "He's a wonderful guy and a big, big, big talent but we couldn't give him enough match time, so for his development it's unbelievably important that he gets these minutes. He had his first start last week. That's good." 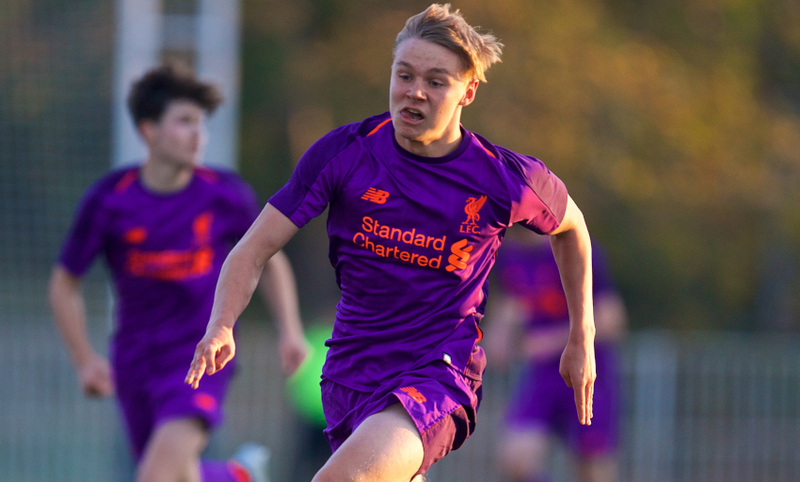 Half-time in Liverpool U18s' league meeting with Manchester United this lunchtime and the young Reds lead 1-0, a scoreline that would take them to the top of the table. BetVictor offers the following prices for the encounter this afternoon. Bournemouth's past five matches in the Premier League have been a classic mixed bag. Defeat at Cardiff City last time out served as sharp disappointment following the emphatic 4-0 home win over Chelsea that had preceded it. Eddie Howe's men had previously beaten West Ham United, lost against Everton and drawn 3-3 with Watford. 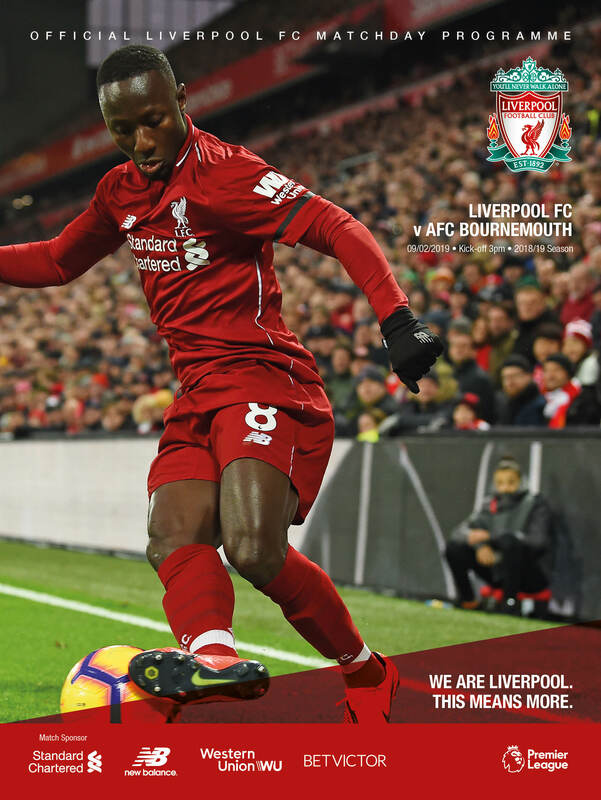 Our No.8 adorns the matchday programme this afternoon - grab your copy at Anfield or subscribe online by clicking here. The LFCTV GO cameras were at Thursday's training session to provide exclusive footage of Liverpool's preparations for this match - and subscribers can watch a montage of that workout below. Not yet signed up? 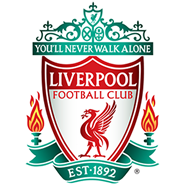 Visit video.liverpoolfc.com to try LFCTV GO free for a month now. 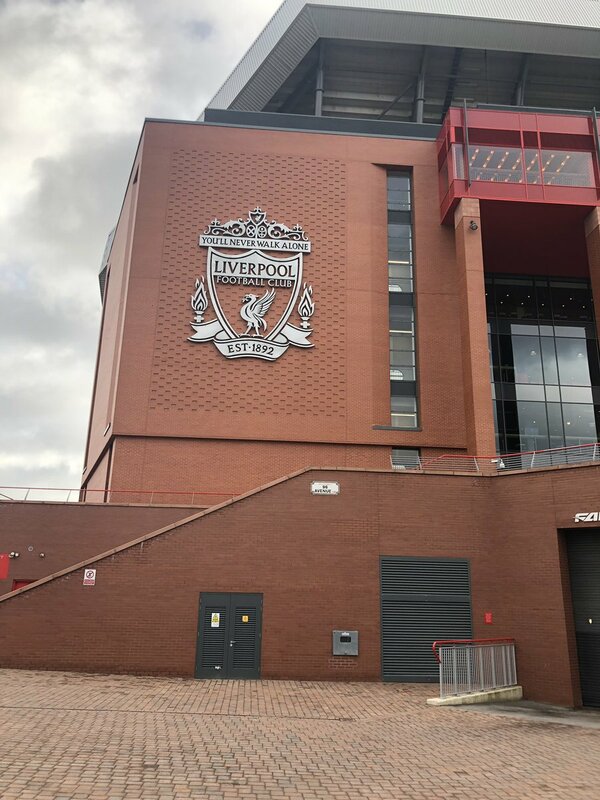 The official Liverpoolfc.com matchday blog weather update could comprise that single word today, with strong winds swirling around Anfield overnight and into this morning. Wrap up if you're making your way to the ground later. 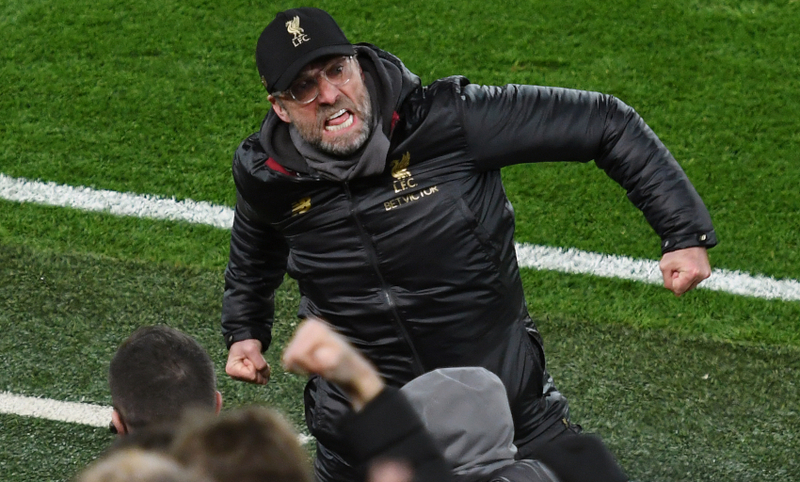 In his matchday programme notes today, Klopp has reiterated the crucial impact possible when players and supporters join forces in the battle for three points. 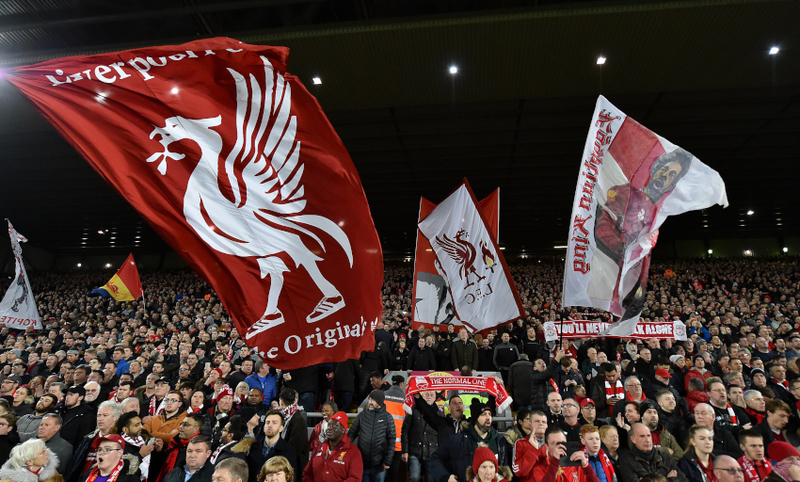 "It makes total sense that we all do our best when we are at Anfield," writes the boss. "Whether it is me as manager, the players - who, like me, are fortunate to represent this club - or those of you in the stands, we all know that the greatest moments come when we all pull together. That is how I understand Liverpool. That, I would argue, is the only way to understand Liverpool. "The good thing is we already know this. I do not use social media but a friend showed me a statement made by Spion Kop 1906 earlier this week and, for me, it captured everything that this club is about. The most important line said 'Unity is Strength' and I can think of no better message at this time. "On and off the pitch it is about the Liverpool family and nobody else, especially on days like today when we need our opponent to feel the power of Anfield." 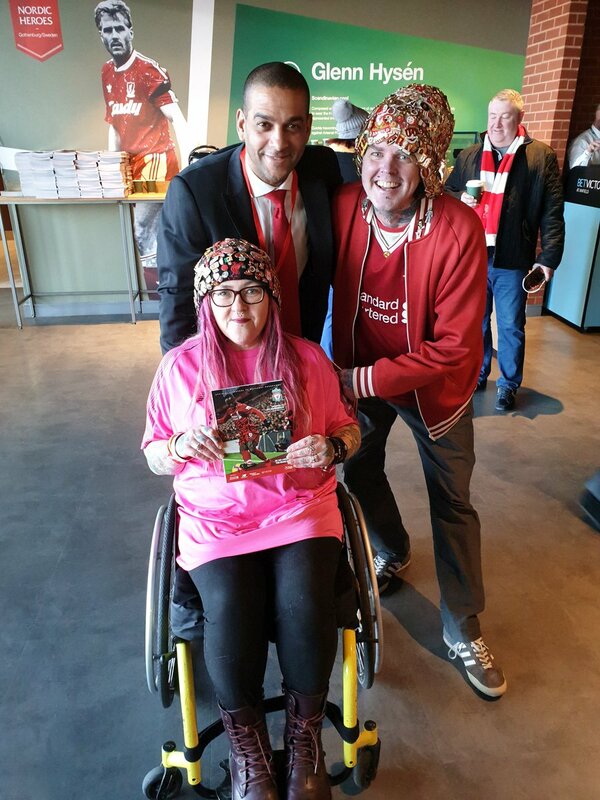 If you're heading to Anfield for today's game, you can help Fans Supporting Foodbanks with a donation - visit the collection points on Anfield Road, next to the Family Park and inside the club store. See a list of key items required below. 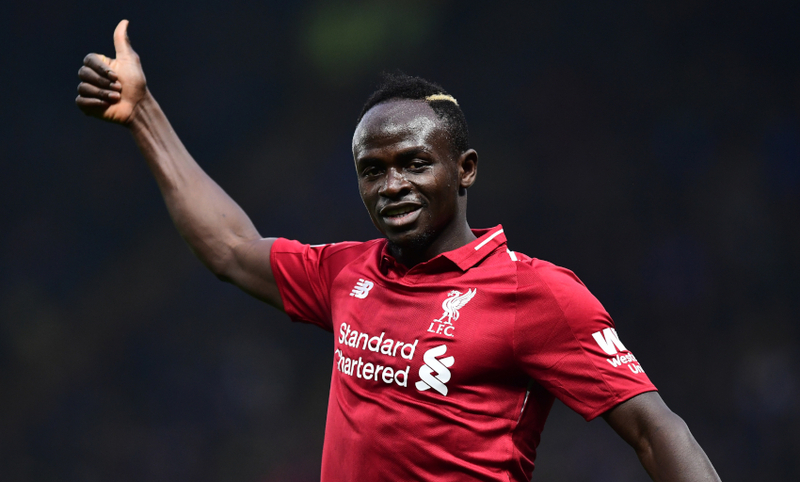 Sadio Mane has scored in each of his last three Premier League matches, against West Ham United, Leicester City and Crystal Palace. The Senegal international would set a new personal best if he were to net in a fourth successive league appearance this afternoon. Klopp spoke to the media at his pre-match press conference on Friday and a wide range of topics were on the table. 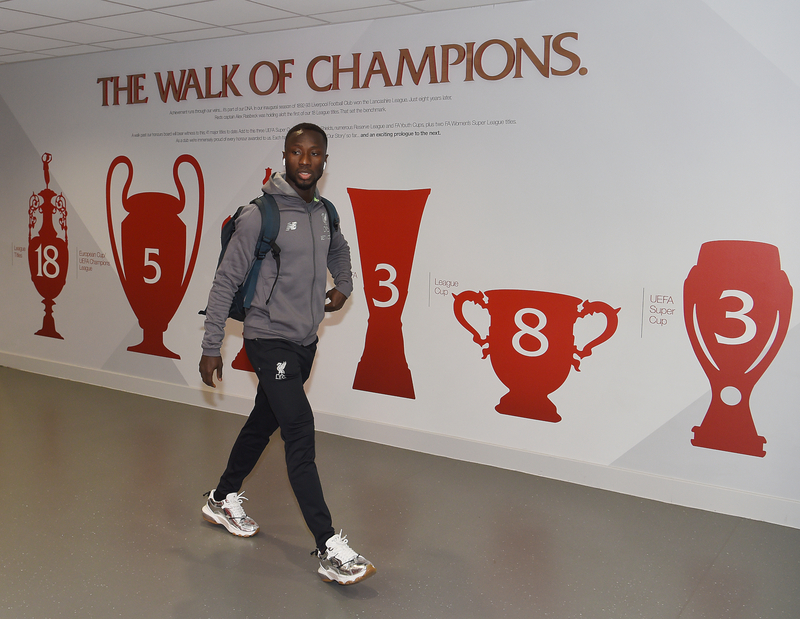 Confirmed teamsheets will land at 2pm GMT today but here's what we already know about the possible line-ups at Anfield. 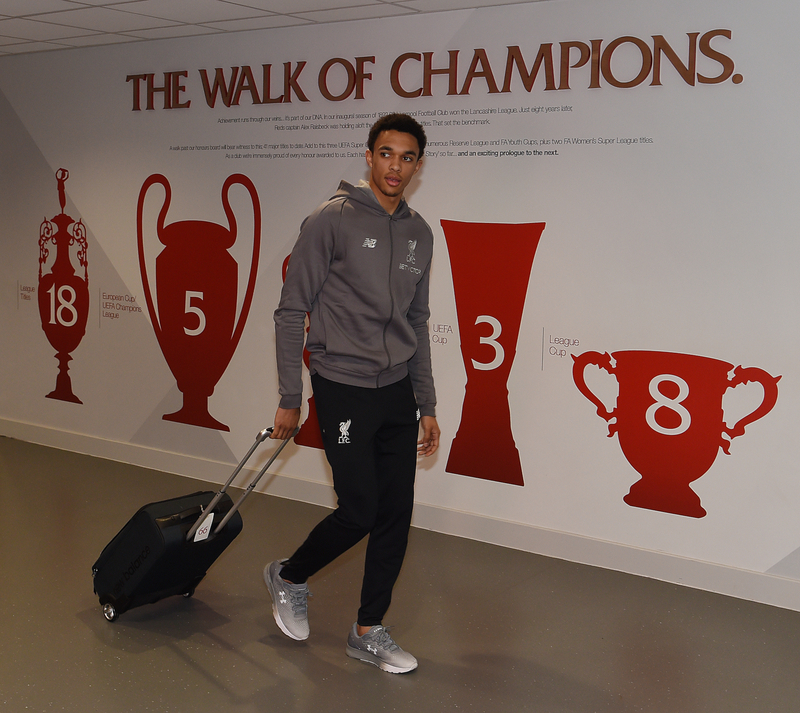 Liverpool were checking on the availability of Trent Alexander-Arnold, Jordan Henderson and Georginio Wijnaldum after the trio returned to training this week. Dejan Lovren remains out, though. 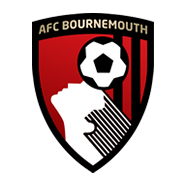 Bournemouth journey to Merseyside without top scorer Callum Wilson and creative midfielder David Brooks. A late fitness test was planned for Jefferson Lerma, while the visitors cannot field Nathaniel Clyne against his parent club. These sides met on the south coast two months ago and it was The Mohamed Salah Show that day. Liverpool's No.11 bagged a treble as Klopp's men set about registering a flawless record in December. Manchester City's victory at Everton in midweek moved the reigning champions above the Reds in the Premier League table on goal difference, though having played a game more. 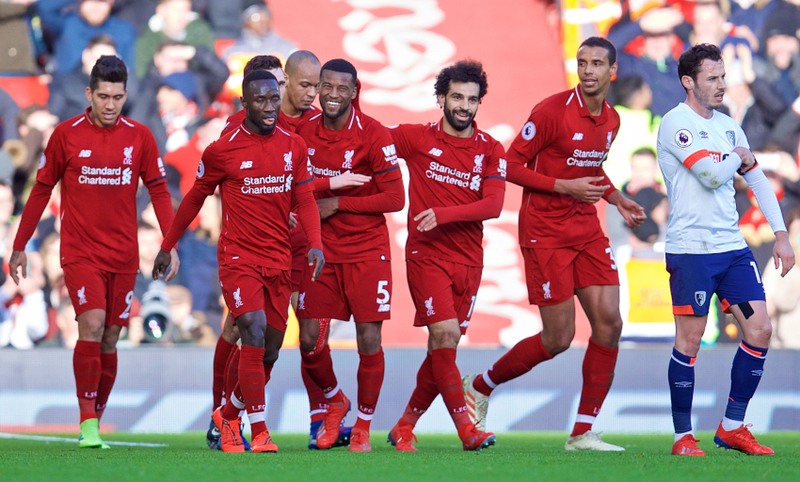 Jürgen Klopp's side can assume top spot again, however, if they avoid defeat against Bournemouth while a win over the Cherries would restore a three-point advantage before City face Chelsea on Sunday. 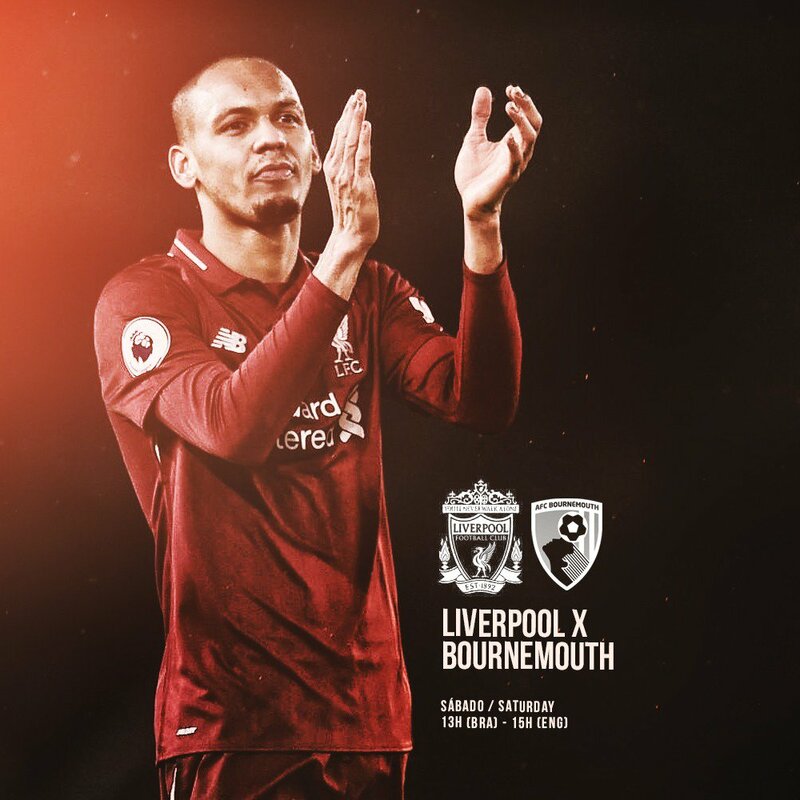 Liverpool return to Anfield this afternoon to take on Bournemouth, with the reclaiming of top spot in the Premier League their top priority. 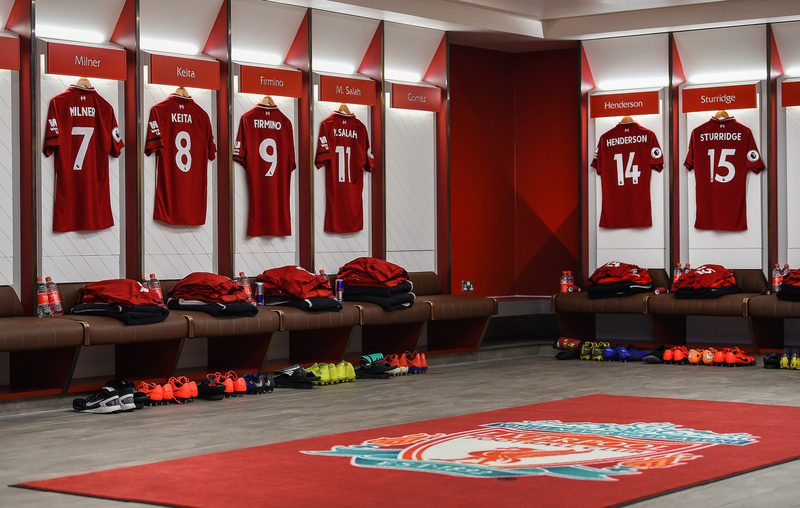 We'll be bringing you updates from the stadium throughout the day, including confirmed team news, all of the action during the game and post-match reaction from the Reds dressing room.